Other than the most notable problems, those concerning privacy issues especially in Canada, Facebook has become to be known as the root of all evil. There are stories of people being fired, not landing a job, students getting expelled from school, and relationships ending in ruin all because of Facebook. Before social networking websites the only times these things could happen is if someone close to you, whether it be your co-workers, your references, your teachers of your friends and family dropped the ball and put your character in a bad light. Now anyone can tag you in an embarrassing photo, video or note for the world to see. Granted there are steps you can take to protect yourself, and many of the potential problems can be avoided if you use social networking responsibly. However this is a relatively new technology and the problems have never had to be dealt with before. Many people will require some education on how to responsibly use social networking. Especially the younger people, it’s scary for me to think that they will be the first generation where their entire life is documented digitally, never to be permanently erased. Thankfully for myself, my highschool years are comprised of a few memories in people’s heads and a couple of pictures, most of which have been lost or destroyed. For my own experience with Facebook I found it had become an obsession. Working from home, alone, I have been cut off from any type of social interaction. Facebook filled that void. But when my habit became checking the News Page every 20 minutes I knew I was addicted. I kicked the habit cold turkey in the winter of 2008. And like any addiction I actually went through withdrawal. After a few months of being Facebook free I went back to that monkey and placed him on my back. It’s been 2 months now, sensibly using. I think this time I might have it beat. 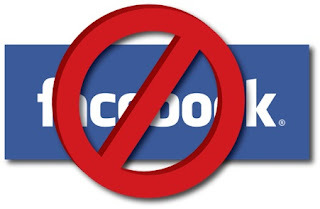 For more reading on the Folly of Facebook check out the top 10 reasons why Facebook is Evil.